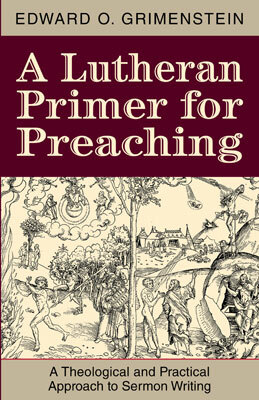 New from Concordia Publishing House, A Lutheran Primer for Preaching by Rev. Dr. Edward Grimenstein provides pastors with a sound, biblical method for constructing a sermon. In the following excerpt, Grimenstein discusses why God directed pastors to preach and what that means for their preaching. Why do we preach? Or better yet, why does God have us preach? Does the preacher have some special ability that is allowing him to preach, or is the preacher the one who has simply been called to be the one in the congregation to open his mouth? If a preacher forgets who he is, or where he came from, he runs the risk of becoming arrogant like the devil, enamored with his own abilities, and forgetful of the fact that the only ability given to that pastor stems from God, the only One able to give the forgiveness of sins. But even beyond a preacher becoming enamored with himself, the greater sin is when the preacher forgets what God does in His Word: that the promise of Christ is for God’s people and that they can believe in the works of Christ as that which truly saves them from all sin, death, and the power of the devil. It may be best for all preachers to remember who they are before they make any sermon preparations. They should remember the fall and how it has affected them. These suggestions could be taken as a means by which the preacher might keep his ego in check, which is certainly always good. However, there is something far greater at stake. If the preacher fails to realize that God is a God who creates and re-creates through His Word, then that preacher’s preaching will never be satisfactory. If the preacher fails to realize that Satan was the first murderer and his weapon of choice was twisting God’s Word so Adam and Eve would follow him rather than God, then that preacher will experience challenges in his preaching. If that preacher fails to understand that through the speaking of the Word, God makes promises to us and that through Christ we can trust and believe those promises not merely as intellectual fact but as matters of faith, then he will never preach the type of spoken Word that God has demanded His preachers to speak. If the preacher fails to believe that through preaching not only does God speak, but that this speaking bestows the very thing of which it speaks—forgiveness of sins—then he could actually end up preaching falsely. 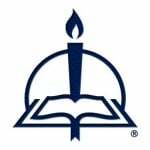 From A Lutheran Primer for Preaching: A Theological and Practical Approach to Sermon Writing, pages 66–68 © 2015 Concordia Publishing House. All rights reserved. 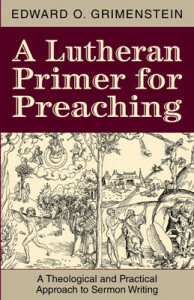 To order A Lutheran Primer for Preaching, please contact CPH at 800-325-3040 or visit www.cph.org.